Wake up your palate and expand your cooking repertoire with spices you may not have experienced before. 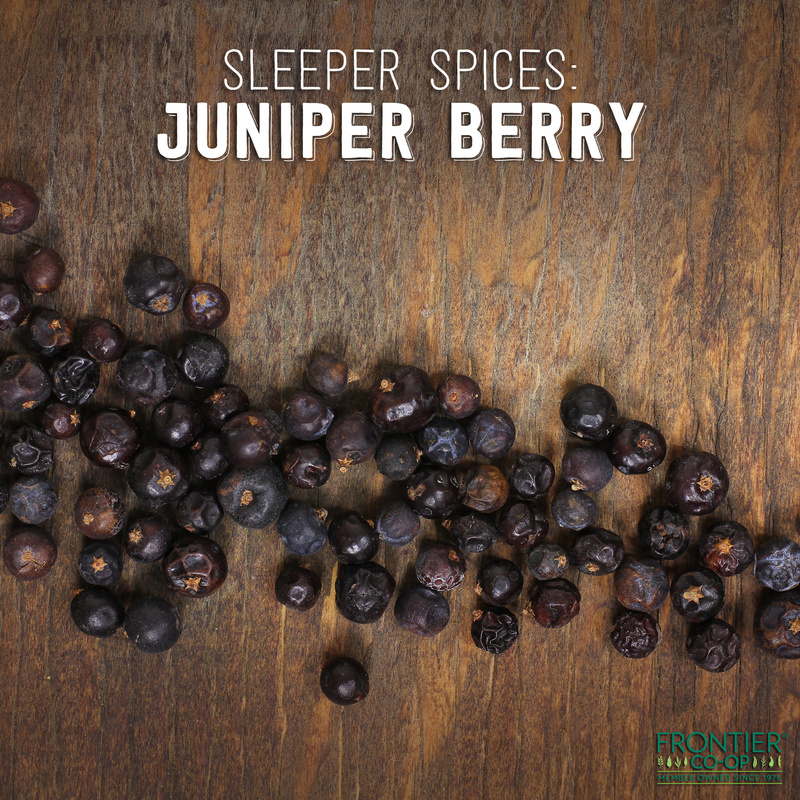 In this installment of our series highlighting “sleeper” spices, learn about the unique seasoning capabilities of juniper berries — and get tips for using them to awaken your next cooking endeavor. What it tastes like: Juniper berries combine a fruity-tangy essence with a forest-fresh, palette-expanding note. The aroma is a bit reminiscent of grapes and evergreen tree resin. What it looks like: Blackish-purple, plump little berries about the size of wild blueberries. How to use it: The sharp, clarifying flavor of juniper berries cuts through rich, fatty and intensely flavored meats such as cured pork, sausage and especially game. For optimum flavor, crush or grind juniper berries fresh at time of use. The seeds they contain can be broken in a mortar and pestle. Combine with bay leaves, black peppercorns and lemon rind in meat brines. Grind with black peppercorns and sprinkle over a platter of choucroute garnie, a dish from northern France consisting of cured meats, tangy sauerkraut and boiled potatoes. Have you ever tried juniper berries? Share what you thought of them in the comments below! I’ve been using juniper berries for about 2 years, particularly in a good deep beef stew. They have become part of the mirepoix, tossed out after the broth has been fully developed. These, black pepper and a tiny amount of smoked paprika.. yum.